Sir or Madam . . . Please start in the Introduction Section. 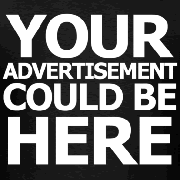 You will find that you did not land on a site that is frequented by fly by nites . . . Damn good questions, Tom, but not sure they were answered... Maybe in the introduction. He or She says . . .
Give 'em time, Luv. They are no doubt very busy...providing fugitive recovery services for the whole US of A would be exhausting! There are also issues of regulated states, licenses, residency, ucea, etc etc. I'm the owner of American Fugitive Recovery Services. I have read the post that have been placed on here. I will take the time to respond to these. 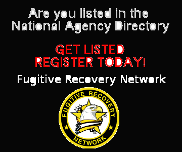 One our company researches the laws that regulate that states fugitive recovery. Second we are very professional and hold our selves to the highest of standards. We joined this site to network and to find not only good contacts but also employees yet instead my company is made fun of and questioned. I will not have my company or my employees put down by anyone. My employees are some of the best you will every find and they get the job done with out breaking any laws. I think it is a shame as to you all have welcomed us and to me that shows your all professionalism and that is one reason we did not write a lot on here cause we wanted to see how welcomed we would be on here by our peers and fellow agents.